Each month we look back at all our work and pick our favourite handbag transformation of the month. 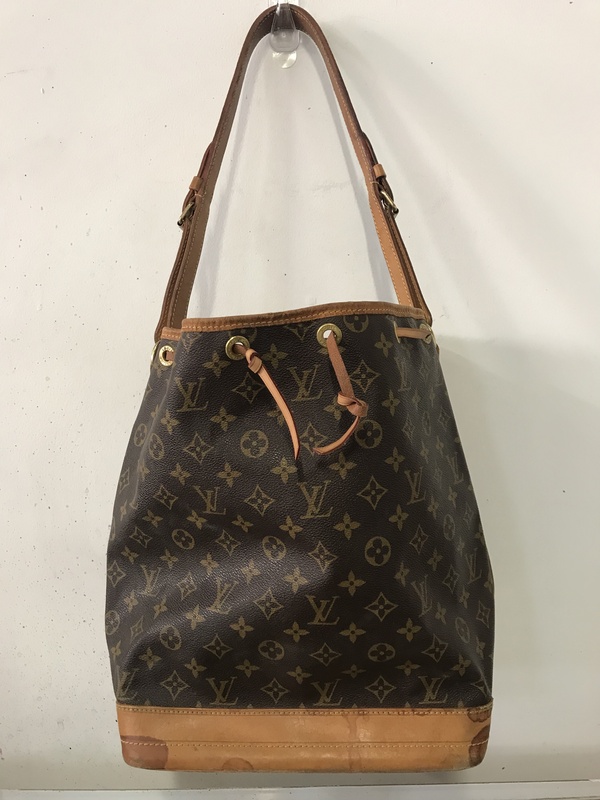 This month it is a Louis Vuitton Noé Bucket Bag. Did you know the Louis Vuitton Noé was originally designed to hold bottles of champagne, and it still can to this day! The largest style can hold up to 5 bottles, four base down and one upside down. Imagine the suprise when you pull that out of your Louis Vuitton when turning up to the party! The Bag Clean involves a full clean inside and out. This doesn't focus on any staining but is solely designed to remove surface dirt and light soiling. this is perfect for cleaning out linings and preparing the leather for any further stain removal or restoration techniques that may be required. 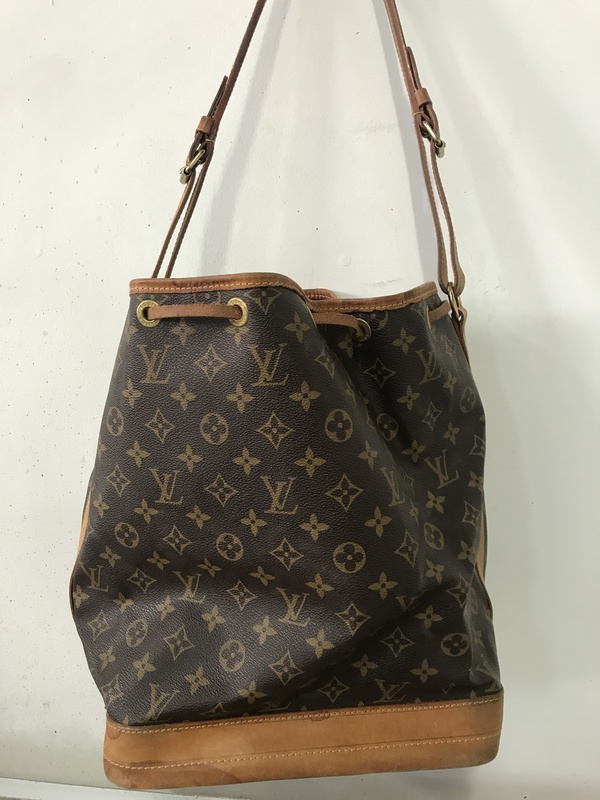 Vachetta Restore is designed specifically for the leather trim on Louis Vuitton handbags. We will degrease the leather where required and carry out stain removal techniques on darkened areas. The aim with this treatment is to even out the colour on the leather and give it a deep conditioning to keep the leather soft. The following images show the bag in its state when it first came in. It had suffered from a number of stains around the base, some were more severe than others. The stains look to have been caused by water or some sort of liquid spillage. Some areas were showing cracking where the spillage had caused the leather dry out as it dried. The interior looked to be suffering from mildew. A white powder substance covered the lining. Front before and after shows the staining has been removed after the handbag clean and vachetta restore. The honeyed patina was retained and the colour looked even. 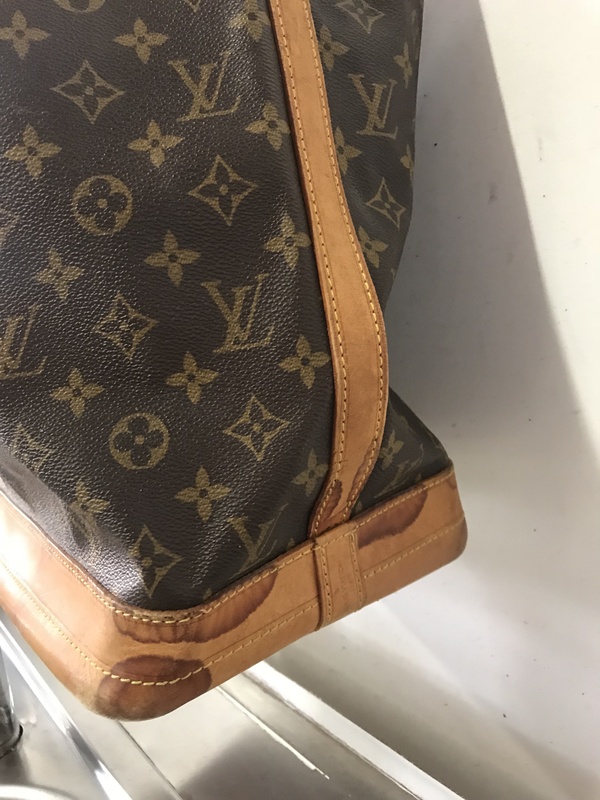 The most severe staining was lifted and a slight amount of restoration work was carried out to restore the cracked leather. The leather still looks natural and has many more seasons use left. The unslightly stains on the leather have ALL been eliminated. The vachetta is even all the way round from the front to the back. All liquid staining has gone. The interior has been fully cleaned and all white stianing has disappeared. The bag is now ready to use once again. 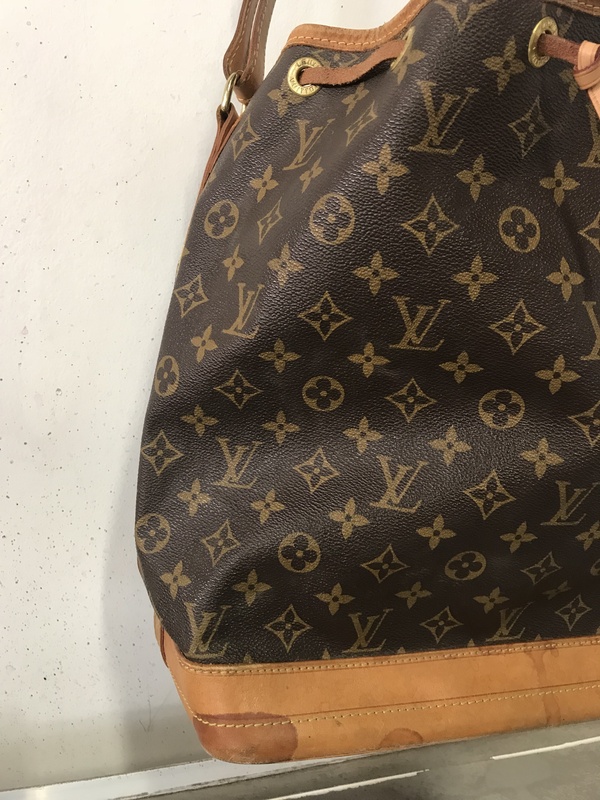 All our cleaning techniques are water based using friendly cleaners that are good for the leather.